Product information "Du bist mir wichtig"
Impart security, meet needs, offer structure and orientation, assume leadership in the pack, but also start joint activities and enjoy calm and relaxation together - all this accounts for good bonding with the dog. 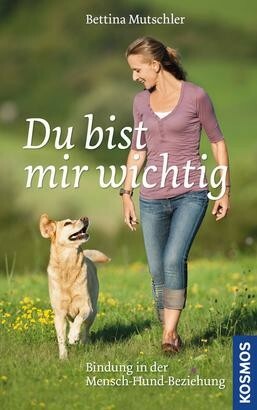 In this book Bettina Mutschler derives a "bonding-guided dog training" from the insights of bonding research. Here the emphasis is more on finding an attitude than on an approach to training. Because bonding is a deep-seated, existential need that can be promoted and deepened, but cannot be trained.